For more info and imagery check out our “Nfocus” section! N-Focus Plus for Avaya has the same features and functionality as N-Focus, but is intended to complement Avaya’s CMS. N-Focus Plus offers Web based and Unlimited supervisor views, especially for outsourcing companies that would like to have their client a view in the call center. 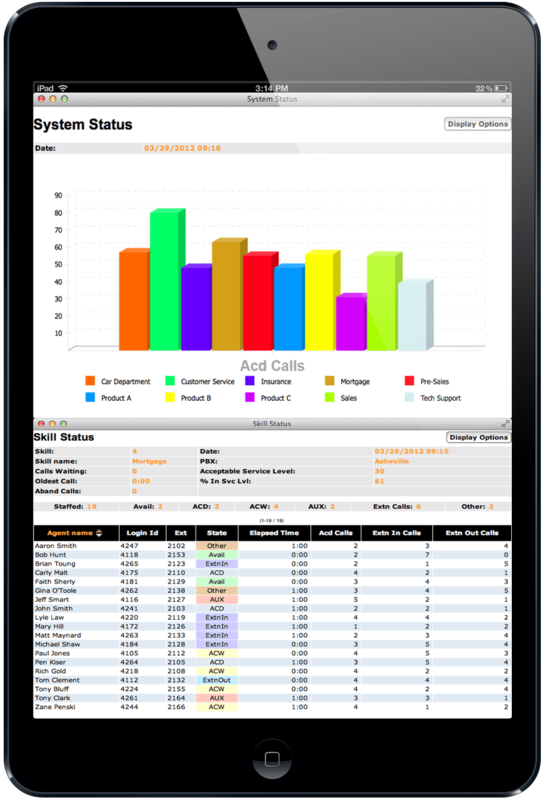 N-Focus Plus brings critical call center data out of CMS. Quick to deploy and easy to administer. For more info and imagery check out our “Nfocus Plus” section! Our partners are DevConnect Partners. This is a comprehen-sive set of sales, support and services program through which Avaya works with members to develop their products and solutions that interoperate with Avaya solutions. Avander offers a fresh and open minded view on existing Avaya environments. We help our customers to leverage their investment in Avaya by improving day to day operations with our expertise and unique solutions. All logo's, product names, company names etc. are the sole property of their respective owners. Avander Consultancy is a trademark of Avander.